The idea is possible because the induction motor converts frequency into mechanical power as speed. The mechanical output power of any motor is Speed*Torque. The Solar Harvester generates electricity and hot water in the SAME collector. Re usable sand -power generator is a unique technology which is more economical and can meet domestic (house hold) to large and very large power requirements with "0" pollution. Cryogenic Flywheel Generator with C-coil Technology. Cryogenic flywheel generator (CFG) with C-coil technology this is new type of energy generator. CFG is running on liquid nitrogen the cheapest absolutely ecologically clean, renewable source of energy compare to any other knowing at the time been. Production of electricity from ocean waves, maximizing the energy from ocean and tidal waves, storing the energy and self adjusting the generator for maximum output. Underground Wind Turbine A hidden perpetual motion generator powered by water. It’s so simple; no one will see them or hear them. The UWT is a simple construction, built underground producing electricity for homes all year round, day and night. No more above ground wind turbines destroying our countryside, once the UWTs are built they can be covered over and hidden from view. In India and few asian countries we face lots of power shut downs, we use an inverter with a battery, but limited to time. If we can produce electricity with electricity and then use the same, it would save power, save on bills and save on natural resources to be used for other progress. 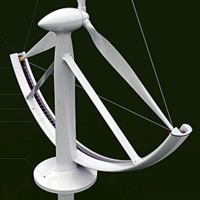 Wind turbine carries a rotating shroud around blades incorporating generator rotor components that pass a stator close to the mast, or alternatively, rotor blades carry permanent magnets or laminated iron that pass along an arc-shaped stator carried on the mast. Supercharger Kit improves a very common small diesel engines like 170F(E), 178F(E), 186F(E), R175, R180, R185, R190, S195, S1100, ZH195, ZH1100, ZH1105, ZH1115 with the engine displacement from 200cc up to 1200cc or the similar ones. The Supercharger (air compressor) as a main unit of the Supercharger Kit supplies the naturally aspirated engine with as much as additional 40% to 75% fresh air. Diesel engine power and torque increase accordingly. The device is a motor/generator arranged in a configuration which produces three times more power than input. The devise rpm is increased gradually and at a certain threshold, the output raises to 8 times the original power while the extra energy used to bring up the rpm will make the device make net output of three times more than the input all based on sound mathematical and scientific model. Accumulation off the electrical energy, using tank LC circuit combined with crystal oscillator. Source off induction for initial accumulation, comes from magnetic field in the lightning rod during the lightning strike. Accumulated energy can be used in the existing grid or as electrical energy source. Internal combustion steam engine converting water to steam in the engine and back to water within the engine. No external steam generation is used. 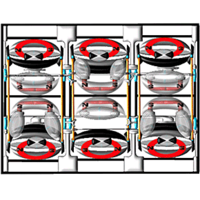 This technology longitudinally aligns a variety of carbon nanotube versions (single wall, multi wall, ropes, or carbon filters) and positions them perpendicularly to the Proton Exchange Membrane. 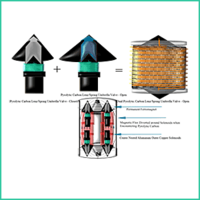 This improves fuel cell effectiveness and efficiency. 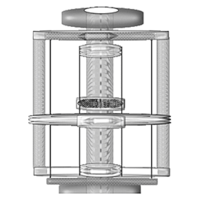 It is a hydro-mechanical silt filtering mechanism. Along the highways, small wind power energy systems feeding into local power lines are placed along dividers/barriers already in existance. These generators are used to augment the power grid powered by passing vehicles. Uses wasted heat from the furnace (stove) pipe.